Here is the first card in my Kaisercraft Tropicana series, very appropriate considering the hot weather we are experiencing here just now! On this first card I have used the 6″ pad and matching collectables, as well as some Stampin Up early espresso cardstock and Kaisercraft Sparklets. 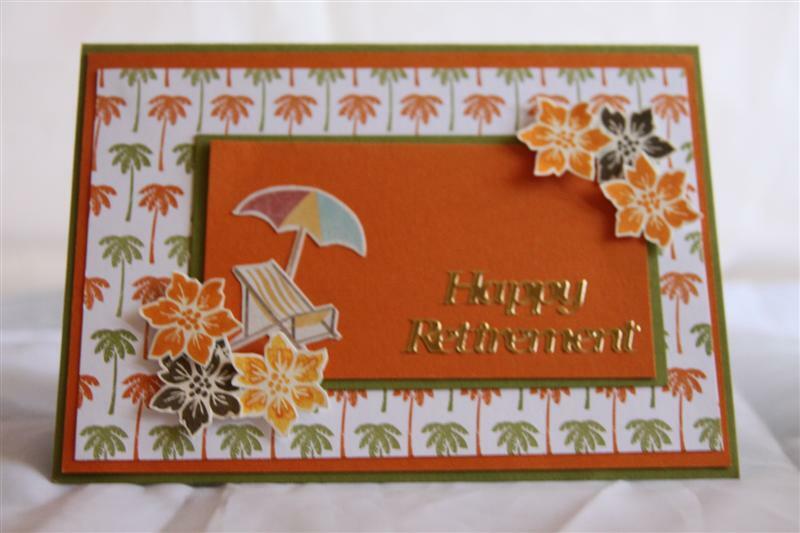 I think this would make a good retirement card! Til tomorrow…. Tonights card uses Stampin Up cardstock – Pumpkin Pie and Old Olive, retired patterned paper and the little flower stamp from the Bliss set. 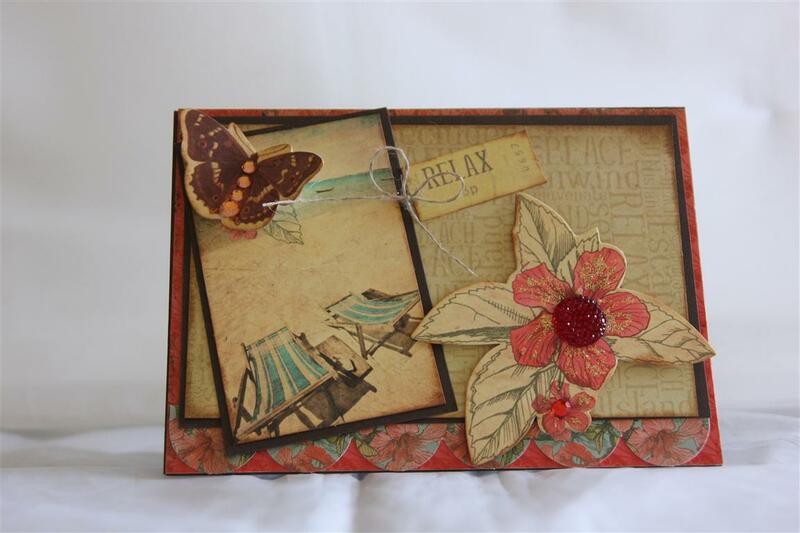 The chair and umbrella were fussy cut from Kaisercraft Seaside paper. Tonight I have a couple of orders to do, but I really haven’t been in the craft room much this week, so I’m looking forward to a couple of peaceful hours! Til tomorrow….